iSchool professor Dr. Heather O’Brien and postdoctoral researcher Dr. Kathy Brennan are looking for participants for a search pilot study. Students with basic web searching experience who are over the age of 19 are encouraged to participate. The pilot will run Tuesday through Friday (November 13 to 16), and take no more than 75 minutes of time. Participation is voluntary and confidential. There is a small monetary compensation for those who take part. 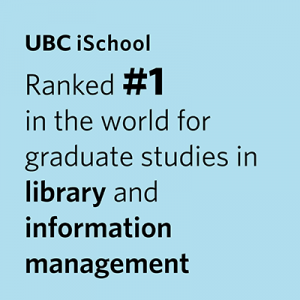 To schedule an appointment or for questions, contact Kathy.brennan@ubc.ca.